Lead generation is not just about driving visitors to your website. It’s about qualifying those visitors, engaging them on your site, and capturing their information. Easier said than done, right? Not necessarily. Live chat is a simple, low maintenance tool that your business can use to accomplish these goals and generate qualified leads in four key ways. When a visitor comes to your website, they want someone to connect with right away. A survey conducted by Forrester Research reveals that “44 percent of online consumers say having questions answered by a live person during an online purchase is one of the most important features a website can offer.” Fortunately, live chat software makes your team instantly accessible by automatically engaging visitors on key pages of your website. ●Include a call-to-action button that encourages them to sign up for your newsletter, download your e-book or schedule a demo. 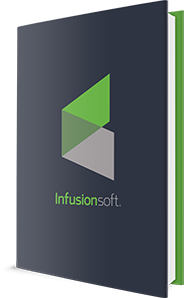 ●Use a live chat app in the Infusionsoft marketplace to create or lookup an Infusionsoft contact, add a tag, send the transcript into the system and trigger automation. To really boost your conversion numbers it’s important to have someone that’s regularly available to chat, but when you’re not around you can use live chat tools to collect leads in your sleep—literally. When your team isn’t able to connect with prospects in real time, the chat box turns into a lead capture form that allows you to grow your email list by making it easy for site visitors to send you their information. Social media can be a great place to reach people who are talking about topics related to your product or service, but haven’t made it to your website yet. Rather than limit the conversation to 140 characters, you can tweet out a chat link that allows potential customers to start a chat straight from social media. These chat links can also be added to email signatures and embedded on Facebook pages to engage leads in instant conversations wherever they are on the web. Word-of-mouth referrals are the highest converting lead source for most small businesses. In a study conducted by KellerFay, “Word-of-mouth (WOM) has been able to improve marketing effectiveness by up to 54 percent.” Because people are usually inspired to make referrals for emotional reasons, providing amazing customer service is one way to connect with them on a personal level so they’re more likely to tell their friends. Even though the benefits of live chat are immense, the rewards aren’t worth it if you have to spend 24 hours a day chained to your desk. That’s why some live chat software allows you to connect with leads on the go from the iOS, Android and Kindle apps. When you’re available in the field, the app will send you a push notification to let you know a lead is trying to connect. Once you’ve accepted the chat, the conversation is just as easy as texting. At the end of the day, live chat is a no-brainer for small businesses that want to significantly boost conversions and generate more qualified leads. With a low price point and quick implementation, it’s easy to start generating more leads with Pure Chat and moving them through your sales pipeline with the systems you’ve set up in Infusionsoft. Arielle does marketing at Pure Chat, a live chat software for small businesses. As a journalism graduate she loves anything content related – from videos and podcasts to blog posts and infographics. Arielle is passionate about fashion tech, startups and secondhand shopping. Connect with her @ArielleHurst.